Here is a bouquet for your Saturday. 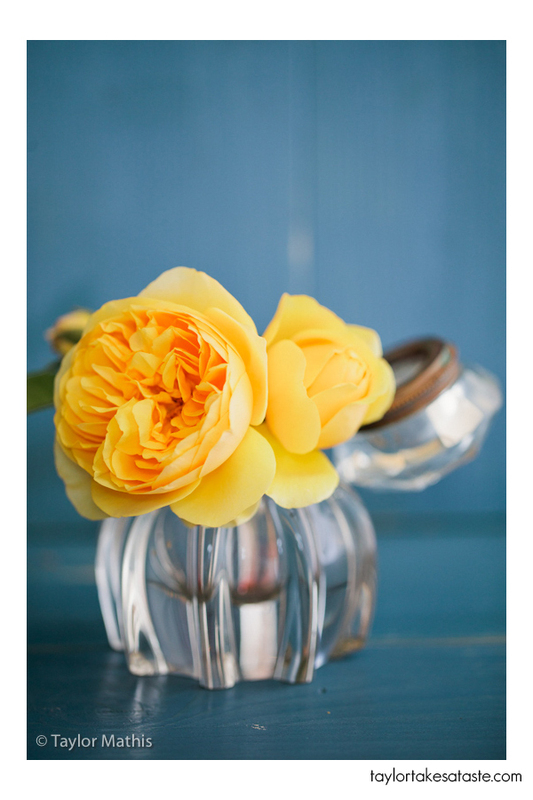 A smaller yellow rose arrangement on a blue background. Enjoy! Really nice contrast with the blue. Yellow on blue is one of my favorite color combinations…as a matter of fact my whole dining kitchen area is based on it!